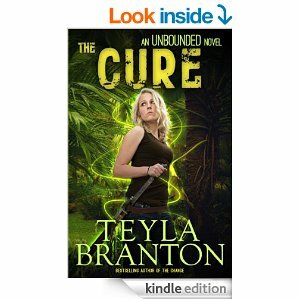 Teyla Branton’s The Cure, Unbounded Book 2, is an ambitious sequel to The Change. There are some new characters we meet while strange universe created in the introduction to the series is expanded along with the godlike abilities of the quasi-immortals. Again we see things through Erin’s point of view as she continues the wrestle with the reality of who and what she has become along with her origins and those who were important to her before her Change. There is a trick to writing a series. 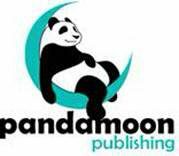 The author must keep the readers from earlier books happy with the advance of the storyline while writing in a way that can stand alone should someone read only the one book or read the series out of sequence. Of course the objective is to entice every reader into becoming a fan of the entire series. Some would give a prologue with all a summary of the previous story. But Branton has chosen the better alternative to battle the fabled sophomore jinx, continuing the story while filling in the background where necessary and in such a way that it is not obtrusive to anyone who read the previous work. After all, there may have been some gap between reading the books and a little refreshing of the storyline doesn’t hurt. Readers of a serial will naturally compare the books and some will find each successive sequel lacking in some way while others will enjoy how the story is continued with the characters they already know. The critical way to judge a series is whether the story is consistent between books and is the plot carried forward. The Cure meets both criteria. 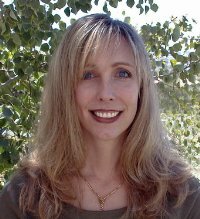 While Branton covers the necessary elements she deals with the unresolved tensions between characters and advances their relationships. The addition of new blood in the story, Mari, Oliver and Benito lends a feeling of authenticity to the fictional world as it grows to accommodate more complexities. Each new character has a key role in the story validated in action lending sufficient depth and backstory. There is a lot more action in this fast paced installment as the Renegades continue their war against the Emporium. Although The Hunters are involved early on in this story and are mentioned throughout they are not as large a factor in this part of the story as the rivalry between the two factions of the Unbounded. Romantic elements established in the first book are also brought into the mix as we get to know more about Ritter and Keene as well as Erin. The objective of the Renegades is to rescue scientists who have been working on a cure for autoimmune disease. In doing so they must go into the jungles of the Yucatan Peninsula of Mexico to thwart the Emporium’s murderous attempts to suppress the technology. The Emporium, being heavily invested in the pharmaceutical industry in the production of medications for treatment of the disease, has no desire in allowing a cure to be made available. It’s a tough challenge writing the follow up for a popular book. Sometimes the story dictates where the author must take it and, as most writers know, trying to guide where a story will go doesn’t always work out for the best. With The Cure, Branton has taken her readers exactly where we should go in preparation for the third and fourth books of the series. I’m glad they are already available because I plan to work them into my schedule. Expect reviews of the next two books of this innovative paranormal series in the near future.